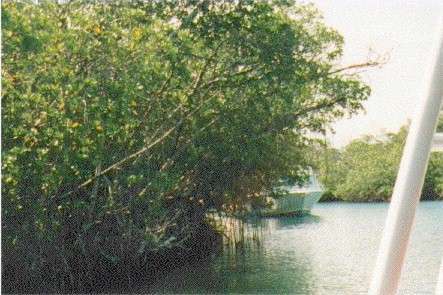 The jungle through which you navigate to get to the snorkeling areas in the lagoon. In one of the jungle waterways. 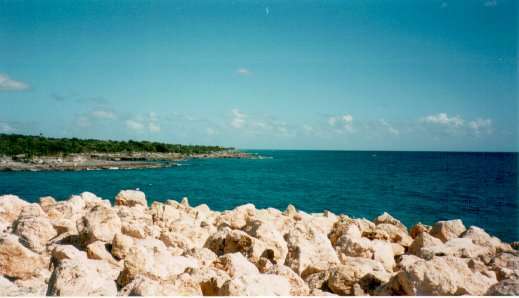 Looking out to sea from the coastline at Xcaret. The colour of the sea is incomparable. 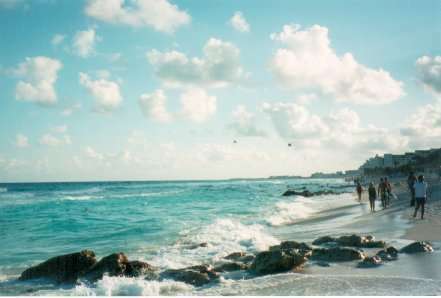 Looking south along the beach. The specks in the sky are parasailers. 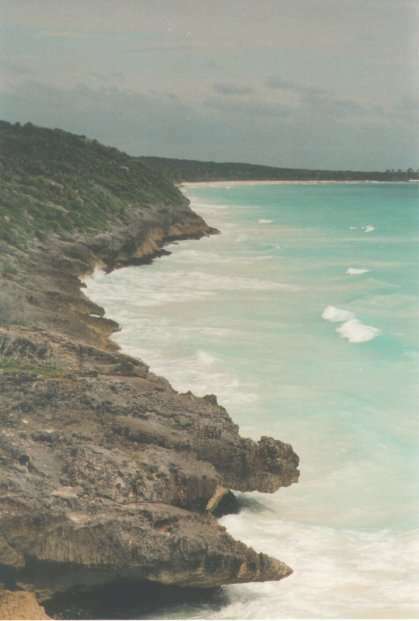 The view from the cliffs at Tulum. 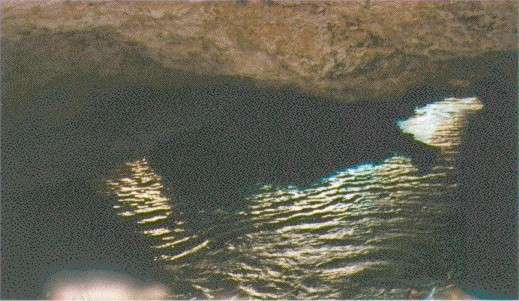 One of the underground rivers, "cenotes", at Xcaret. You can swim and snorkel through it.